For adults, it can sometimes feel like we’ve missed the boat on braces. The dentists at Tooth Fairy Dental have met many people in Tauranga who would trade their left arm for straight teeth – yet they wouldn’t go as far as wearing traditional metal braces. If this rings true with you, you could be a perfect candidate for invisalign braces. Invisalign is a clear type of braces which gives you the teeth-straightening effect of braces without the mouthful of metal. Essentially, invisalign braces gives you an aesthetic alternative to the conventional option. We customise several sets of clear trays to your mouth which move your teeth into alignment. You wear invisalign for 22 hours a day for two weeks, removing them only to eat and drink. As you progress through your invisalign trays, your teeth move further into alignment until the full effect of straight teeth is reached. The costs of invisalign is between $7500 and $8500. 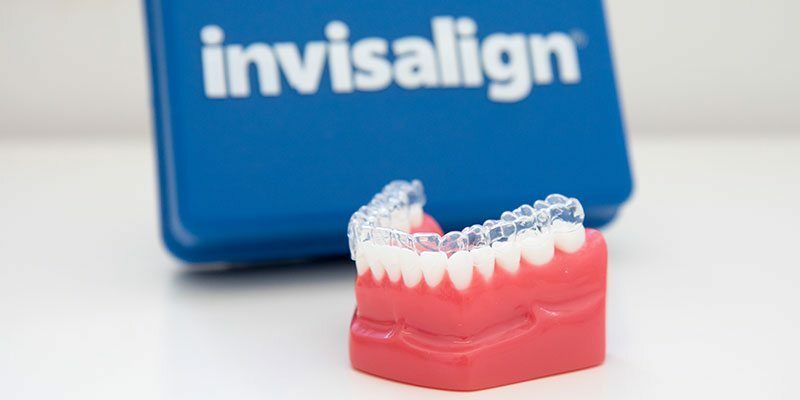 Besides the obvious reason of wanting a beautiful smile and increased confidence, there are plenty of reasons to straighten your teeth with invisalign. Straight teeth contribute to improved oral health and likely allow you to keep your teeth for longer in life. Misaligned teeth can lead to gum disease and put stress on your jaws, leading to tension and early wear and tear. It’s a big decision to invest in invisalign braces. Here’s a checklist to see if they might be for you? Do you dream of having straight teeth? Will traditional metal braces interfere with your life, job or confidence? Would you prefer increased comfort and less pain than regular braces? If invisalign sounds like the answer you’ve been waiting for, get in touch with our dental clinics in Mount Maunganui or Te Puke today. We can do an assessment and discuss if invisalign is for you.